Scratch and sketch amazing horse and unicorn pictures using the stylus and special pages in this cool art activity book! Scratch and sketch amazing horse and unicorn pictures using the stylus and special pages in this cool art activity book! 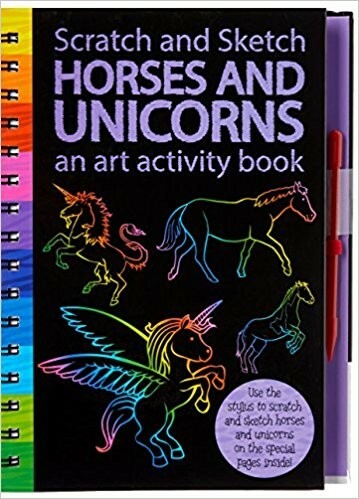 The book includes step-by-step drawing instructions a unicorn story for you to complete and oodkles of doodle pages for you to practise your new found art skills.